YG Entertainment’s boy group Winner is the latest in the agency’s boy group lineup to take up the baton, following Big Bang in the first half of 2015 and iKON in the second half. At a sit-down with reporters in a Hongdae cafe on Tuesday, the members said that the long break was intended to give the group time to put together the highest-quality album they could. 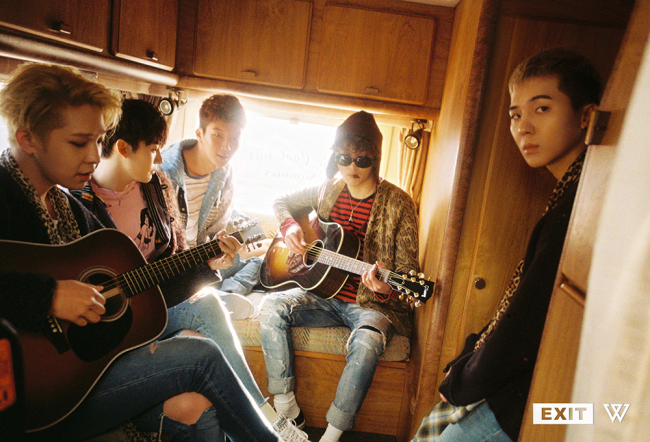 “Even though our first album was our debut, it unexpectedly received a lot of love,” said leader Seungyoon. 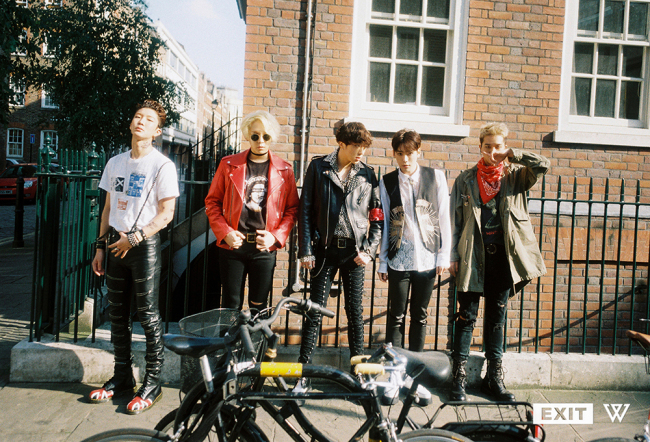 The debut record “2014 S/S” swept through the charts in 2014, making Winner the undisputed top new artist of the year. “It was a lot of pressure. We knew that we had to bring music that was better made and more mature, but there were always dilemmas.” According to Seungyoon, the group worked, reworked and continuously edited songs to reach a point where they thought the public and the members themselves could both be satisfied. “We were being greedy about wanting the best results, and it ended up delaying the release,” he said. Perhaps the member who felt that pressure hardest was Taehyun, who wrote the two lead tracks. Taehyun felt that he felt “pressure” because both lead tracks were his works, although Seungyoon emphasized that Winner had a long-standing rule that no song could be released unless all five members agreed that they felt it met their standards. “They were creating music before I was born, and their music evolved to today’s pop music. I’m inspired by that,” he said. Seungyoon said that the group’s heavier, emotional and muted style -- compared to the flashy dance tracks of most idol groups -- came from the way the five members approach music. “We don’t need a provocative song to intimidate everyone, or a tough style with big choreography. We prefer to create music that focuses more on being sincere. Our goal is to move hearts or provide comfort. Since our debut, our goal has been to create music that makes our listener the ‘winner,’” he said. Despite that, Seungyoon said that Winner still wanted to try out more hard-hitting dance tracks, and Taehyun said that he had already written some songs in that style. It may not be too long before those songs are released: “EXIT: E” is just the beginning of a yearlong project called “Exit Movement,” which will keep Winner members interacting with fans throughout 2016, with details yet to come. On Wednesday, YG Entertainment announced that the next part of “Exit Movement” will be Winner’s first solo concert, “Winner Exit Tour in Seoul,” to be held March 12-13 at the Gymnastics Arena in Olympic Park, Seoul. “We didn’t get to promote our last album a lot, so we’re very excited that we’ll be able to show you many different sides with this album,” said Seungyoon.